Men and women, married or single, and the secular clergy who desire to follow Jesus Christ in the footsteps of St Francis of Assisi. We are a true Order of the Roman Catholic Church, founded by St Francis of Assisi. We follow a Rule approved by the Church. We live in the World, coming together regularly as a fraternity for prayer and fellowship. Have you been experiencing a desire to expand upon your spirituality, striving to advance in virtue by more completely imitating Christ? Have you had a desire to embrace a life of prayer, penance, and good works to form a more intimate relationship with our Lord? Have you desired to share the good news with others but have not felt capable of knowing how. How do I become a Secular Franciscan? To become a Secular Franciscan, you must be an actively practicing Catholic in good standings with the Church. You will go through a Formation process, which includes formal instructions, to help you determine whether God is calling you to this particular vocation. The process of becoming a professed Secular Franciscan is a journey that involves three separate stages, Orientation, Inquiry, and Candidacy, which helps you to culminate a lifelong commitment to live the Gospel following the example of St. Francis of Assisi. Once I become a Secular Franciscan what will I have to do? You will join a fraternity and attend monthly gatherings. You will participate as much as possible with Franciscan works and activities. You will seek to encounter the living and active person of Christ, in our sisters and brothers, in Sacred Scripture, in the Church, Liturgical Prayer, & especially the Eucharist. You will continually renew your commitment to follow the Rule, Constitutions and Statutes, founded and guided by the Order. You will continue to help build our Church and a more evangelical world by your actions and good deeds. During the thirteenth century, the Church became slaves of sin conducting themselves in self-righteousness and self-indulgent ways, displaying nothing of the Christian religion in their own lives. Out of this time, Our Lord elevated, in the city of Assisi, a man named Francis out of his wretched behavior into an example of Christ that no other has been able to equal. Through this Divine intervention, St. Francis’ mind became distraught and his body afflicted with an illness. All things that he held with esteem before began to seem worthless. While praying before a crucifix in San Damiano Church, our Lord spoke to him and said, “Repair my Church for you can see it is in ruin.” And from that day on, St. Francis wanted nothing more then to please the Lord and rebuild His Church St. Francis, consumed with love for Christ, inspired thousands to lead lives of poverty, simplicity and humble service. 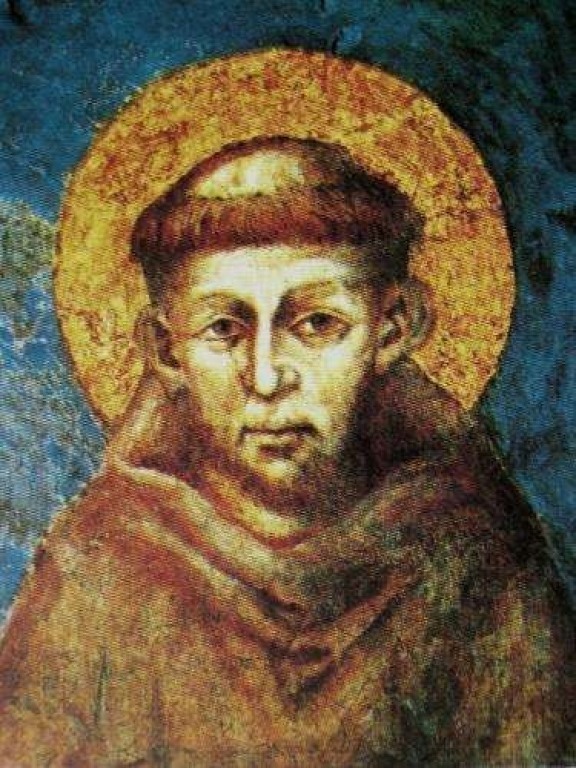 Francis died October 3, 1226, and was canonized two years later. “The Church expects from the unique Franciscan Secular Order a great service to the cause of the Kingdom of God in the world today. She wants your Order to be a model of organic, structural and charismatic union at all levels, so as to present yourself to the world as a "community of love" (SFO, Rule, art. 26). “Like Francis of Assisi, preach peace and repentance, promote justice, defend the rights of the human person, raise your voice against exploitation and violence, attentively care for all the wounds that make humanity groan today.” - excerpts from Address of St. John Paul II to SFO. Today, THE SECULAR FRANCISCAN ORDER, formerly known as the Third Order of St. Francis, is an official International Order within the Catholic Church, established by St. Francis of Assisi himself, early in the thirteenth century. Ordinarily, we do not live in community; rather, we live with our families and perform our jobs out in the world, gathering in fraternities on a regular basis. By profession, we promise to follow a Rule of Life approved and confirmed by Pope Paul VI in June of 1978. St Adalbert Parish has a Secular Franciscan Fraternity which meets the fourth Monday of every month in the lower church. We come together to pray, praise, being of service to the Lord and each other. Interested Catholics are welcome. A "Come and See" meeting is held twice a year to invite interested persons to learn more about the Secular Franciscans way of life. The SECULAR FRANCISCAN ORDER within the United States is structured into 30 geographic regions. There are approx. 700 local fraternities with approx. 14,500 professed members. The Secular Franciscan Order is in close union with the First Order and Third Order Regular Friars. 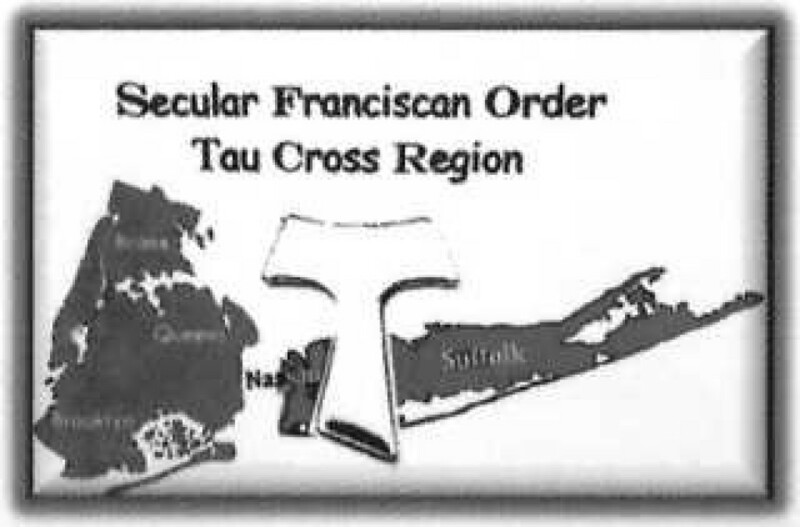 The TAU CROSS REGION of the Secular Franciscan Order consists of fraternities located in the New York counties of The Bronx, Brooklyn, Queens, Nassau and Suffolk.